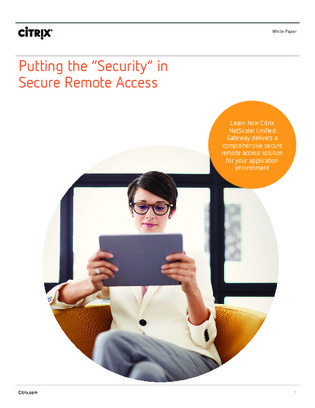 More often than not, IT departments are under pressure to enable remote access for any user, operating in any location with any type of device, to any type of resource. Establishing comprehensive protection for this greater (and still growing) set of remote access use cases requires thinking about security in a more holistic manner. Download this white paper to and explore how Citrix NetScaler Unified Gateway can deliver comprehensive secure remote access for your application environment.